Canada's third largest mobile telecom has recently indicated that it will start offering its customers the option of unlocking their cell phones for a fee. The plan will take effect on February 15, 2011 when it says customers will be given the option to unlock their own cell phone for $50. The move will give Telus phone owners the option to swap out their SIM card and replace it with something compatible in other countries or, if the hardware is a fit, the possibility of moving to a rival Canadian provider such as Bell Mobility. 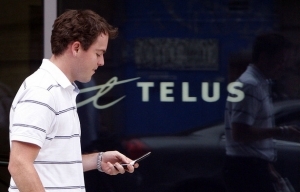 The new Telus policy could come because of irate International travellers who, instead of paying exorbitant roaming fees, might prefer to use a local SIM card to cut both data and voice usage charges. Previously, cell phone owners would have to go to grey market retailers or 'unlockers' to gain the full freedoms of a cell phone without a carrier lock. Telus says that new customers won't be able to immediately have their phone unlocked, instead having to wait for atleast 90 days from the purchase of the phone. This is expected to stop non-payers with subsidized phones with a new contract from moving to a rival provider. Some devices under exclusivity contracts with various hardware manufacturers, such as the Apple iPhone will not be available for unlocking under the new scheme.